It comes with original service history with 17 stamps recorded and i have all mot's from 2003. 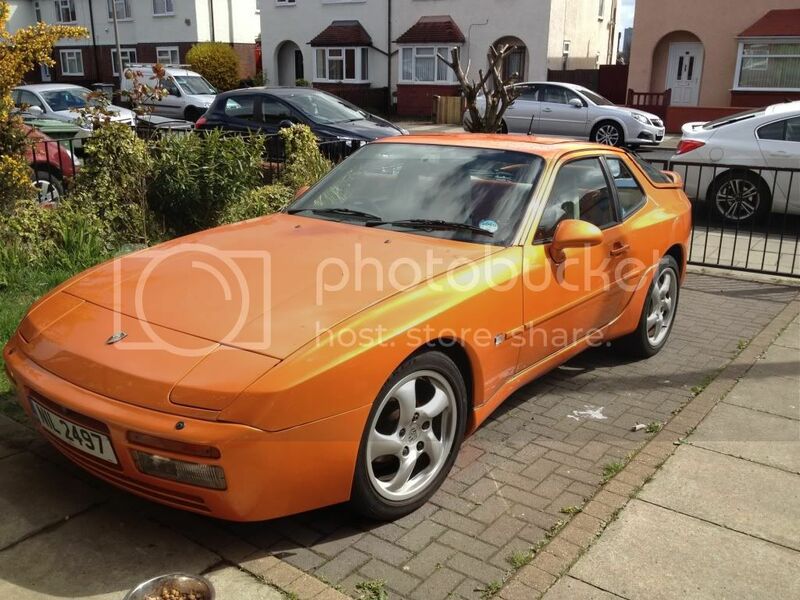 It last Mot was 4 weeks ago and passed with flying colours. Its running so smooth that the c/o test recorded at 0.347 where the max pass is 4.5. The car has changed considerably since i bought it including a total respray 2 years ago costing £1850. 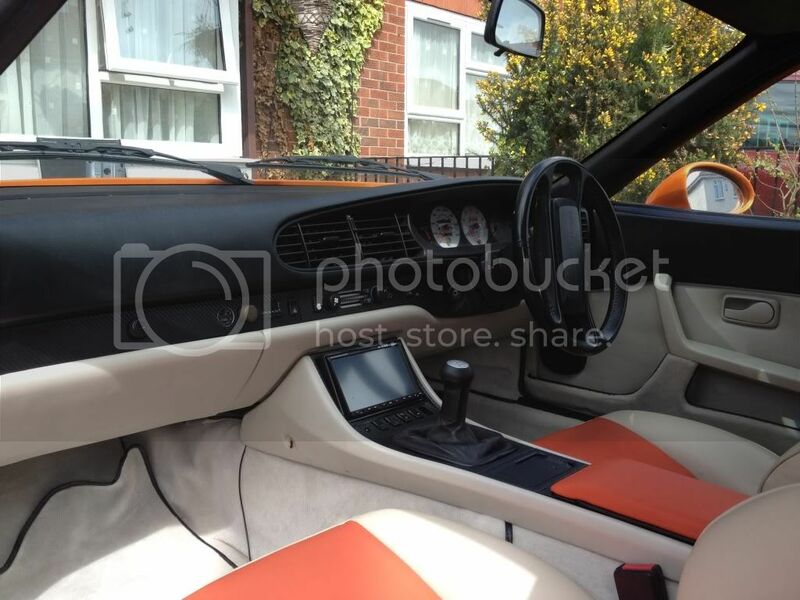 The car was originally was Porsche Sapphire silver/gray and as you can see from the pics it has been repainted in Lamborghini Nacre Pearl Orange. I have about 145 photos of the whole job from strip down, to primer and then the final painting to the rebuild.This was all done correctly with doors and all glass removed. When i first bought the car it was a 1986 2.5 and i have since installed the 3.0ltr s2 twin cam 16v engine /ecu/ loom / and type aos gearbox and exhaust system. I still have the original engine. Complete s2 front end including bumper/lamps and nose cone and all the correct wiring looms. Tear drop mirrors also fitted as you can see in the pics. 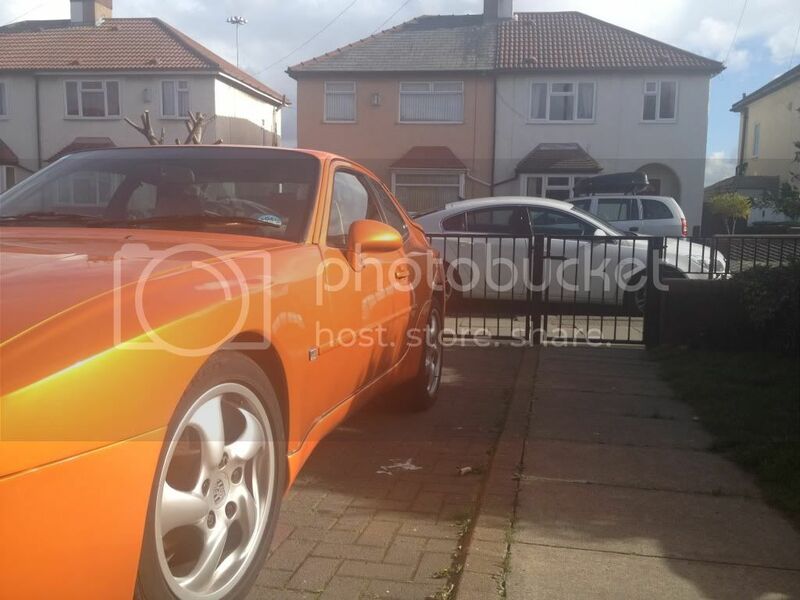 Porsche 968 side skirts and rear bridge spoiler have been bonded on to complete the transformation. I also have pics before i bonded the skirts on to show that the sills were perfect. The reason i choose to bond them instead of screws is because i did not want to drill into any of the body work. 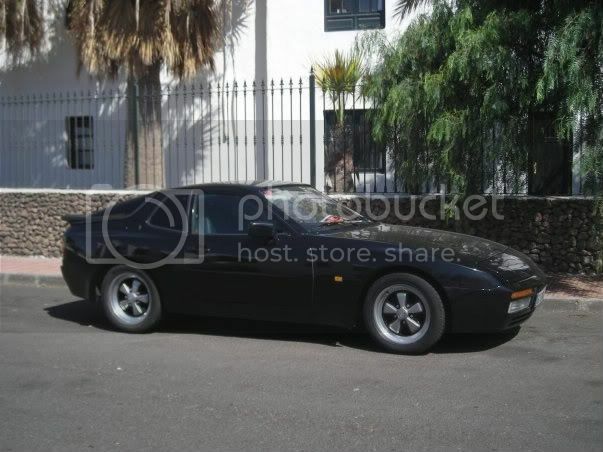 Im also waiting for the rear under spoiler to come back from the painter which i should have this week. 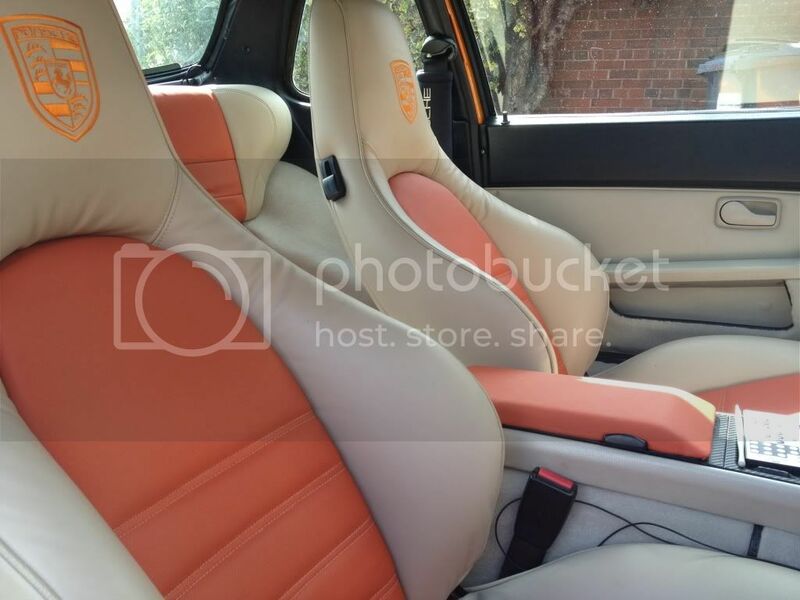 Last year i had the seats custom trimmed in Rolls royce cream and Lamborghini orange leather at a cost of just under £1000. Both seats are electric. Complete dashboard and door cars were replaced to match the colour of the new seats. This year i have just finished replacing all the carpets. They are all brand new which i had shipped from America for £700. The Alloys are 17" Genuine Boxster S and are fitted on Jasmine Porsche 32mm bolt on spacers to get the correct offset. Tyres are all new and matching. Fronts are Falken 215/50/17 and Rears are Falken 255/40/17. Also fitted in the centre console is a 7" full touch screen sat nav system. This also is a blu tooth phone system and dvd player. Remote pager alarm system is also fitted and operates the central locking. All electrics are working( sunroof,windows,seats, central locking and the "clock" which always fails in these cars). I have done so much to this car that its hard to list so this is just a few details. I do have a folder full of what's been done. 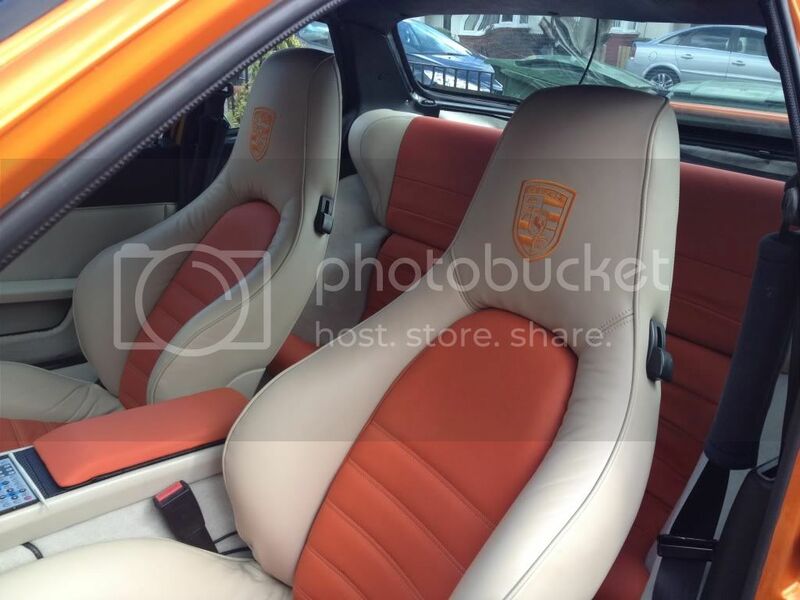 Last edited by PORSCHE911TARGA on Wed Apr 18, 2012 1:58 pm, edited 2 times in total. 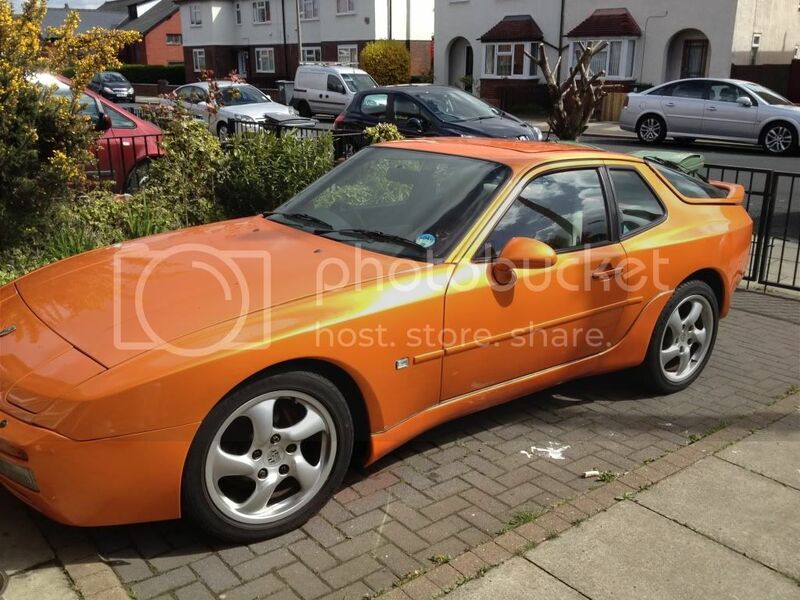 love to see some pics of your ride too, matey, do love a porker now and then . As you can see Mark, i still keep my hand in alittle. But after seeing Trevors car on here im after a covin. Always loved the 911 but out of price range. Im hoping other members on here like it the same as you and would be up for some type of deal. Maybe i should have posted this in the forsale and wanted section. Ps Forgot to say thanks for getting problem with registration to forum sorted out for me. Last edited by PORSCHE911TARGA on Tue Apr 17, 2012 8:43 pm, edited 2 times in total. A nice compliment and good to now that you were considering mine as a deal. 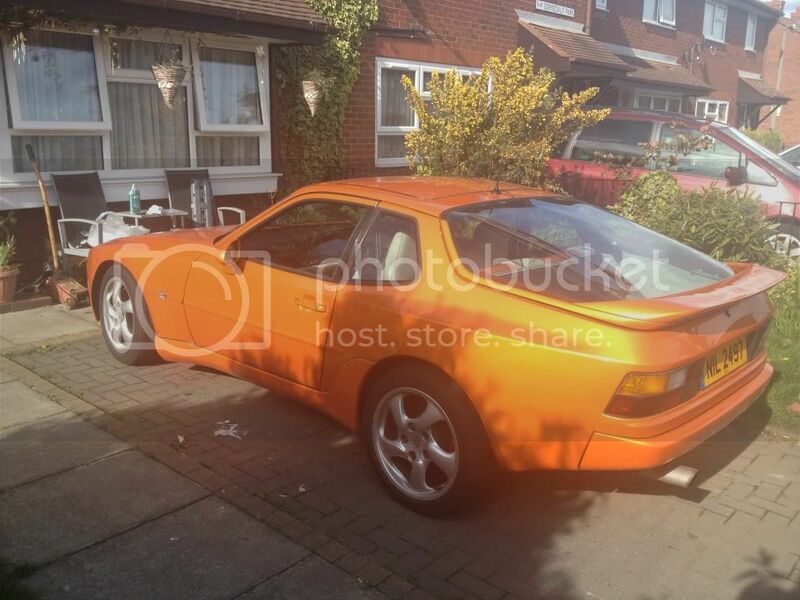 As you know this forum do you think i should put the topic in the for sale or wanted section. Or maybe admin would be able to move it over. Most people will read it on here anyway mate as its easy to check all the sub categories in minutes, I've only been on here for a short while but I'm sure someone more knowledgeable than me will guide you down the right path but I would definitely pop a wanted request on now you may be surprised at the response you get. Thanks for your help Trevor i will put it up in the wanted section and see what happens. smashing colour too, in your face, as bond said i like it a lot too, not a fan of the wheels but a bit more modern than the fuscheies i surpose, just my taste, an exceptional motor never the less, and rare with everything working, as you say. good luck with the sale or deal to be done , i dont think who ever deals with you will be disapointed with that car. After looking at the work that goes into some of the cars on here,i knew this was the place for the work i have done to be appreciated. This car i would like to think is a one off. My aim at the start was to make it different than others that are out there. There has been blood and tears gone into her as most of you have with your cars. Im so pleased to hear the response from members, and never thought i would ever consider letting it go. But after seeing a certain members car on here i feel my path is laid out.